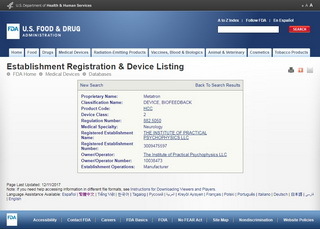 Institute of Practical Psychoiphysics (Omsk) has prolonged a registration of hardware-software system “Metatron” in Food and Drug Administration of USA (FDA)for 2018. 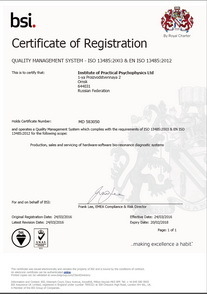 The Institute of Practical Psychophysics has successfully completed re-certification procedure for compliance with the EN ISO 13485:2016 standard “Medical devices – Quality management systems – System requirements for regulatory purposes” and the Medical Device Derective 93/42/ЕЕС. 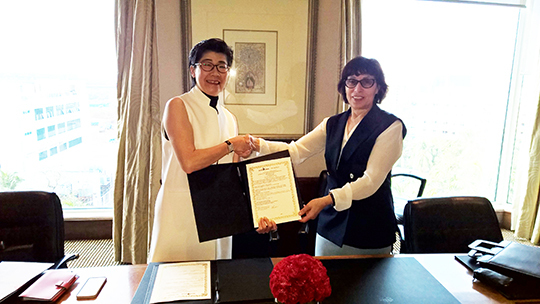 The re-certification was carried out by the BSI (the British Standards Institution) certifying authority on November 28-30, 2017. 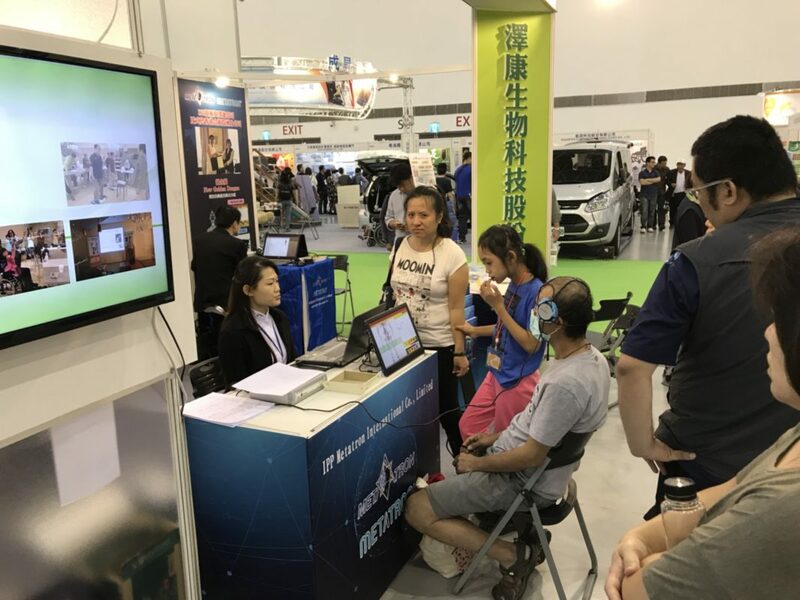 The BSI is a worldwide brand with a mission of global extension of its presence, granting of equal opportunities to all clients around the world regardless of national economy and local culture development conditions. A distinctive feature in standards management field is that the BSI is the founder and partner of the ISO (International Standardization Organization) and other international organizations and associations. 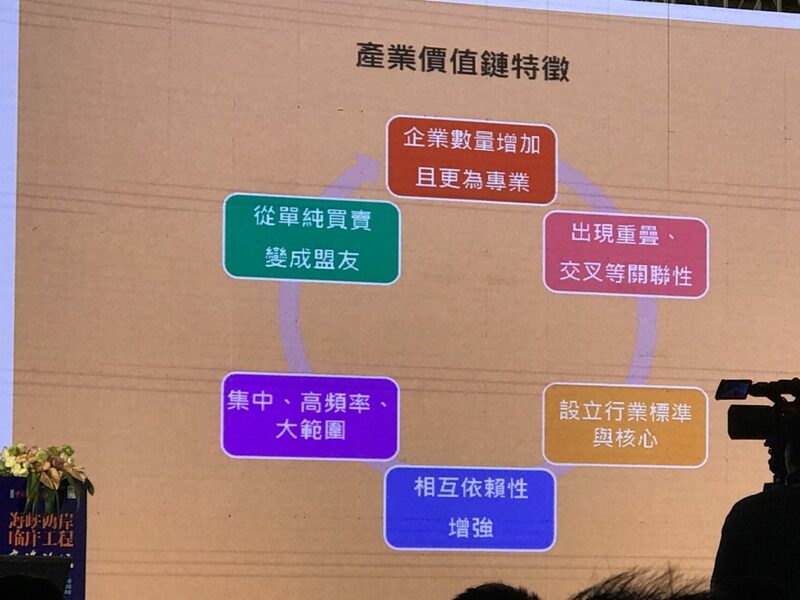 LAt the Forum on Cross-Strait Clinical Engineering in 2017, from the keynote speech on stage, I realized that in addition to rapid improvement in the medical system in China, the proportion of medical equipment developed and manufactured by China has increased speedily, and yet even exported to Europe, the United States and all the other advanced countries. 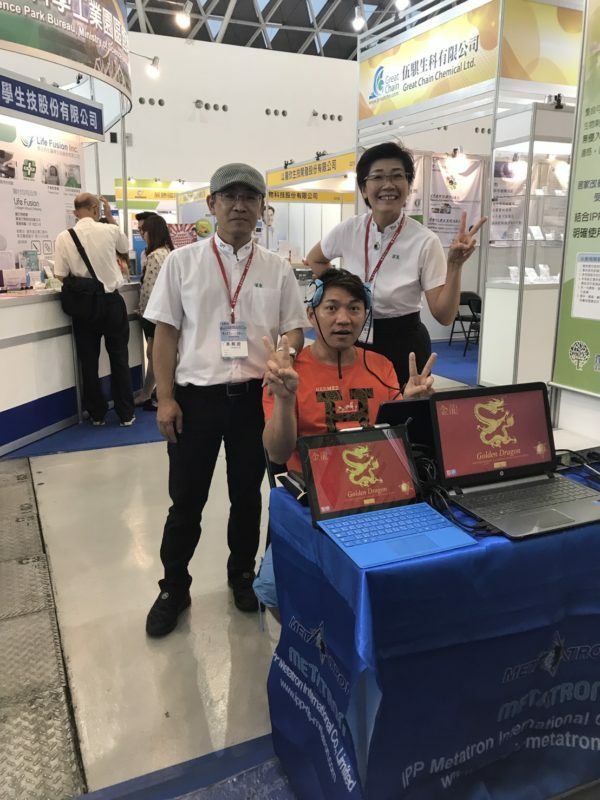 Our friend, Xu Shengyan, president of the Chinese Medical Equipment Magazine Taiwan branch, made a speech on behalf of Taiwan at this medical forum. 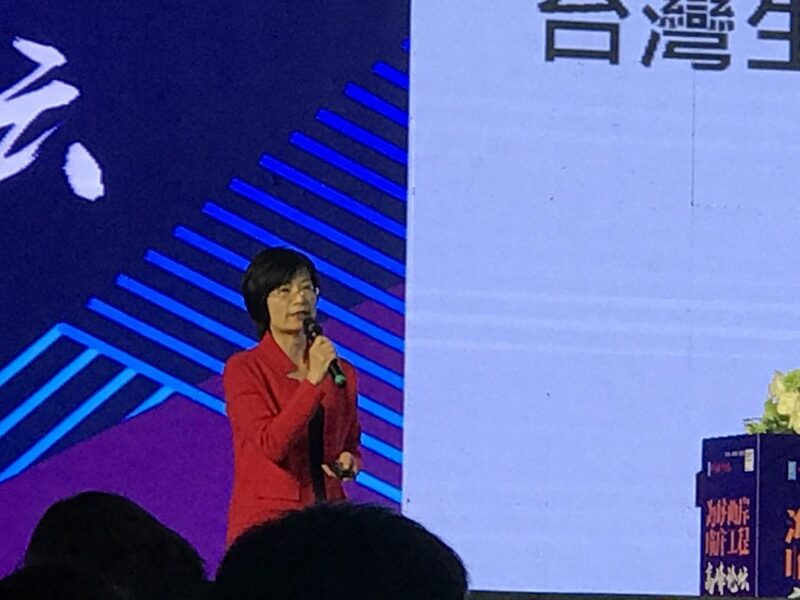 I was touched and shared with you, let us jointly give her a warm applause, thanks to her for the medical industry in Taiwan to voice in China, for business opportunities! 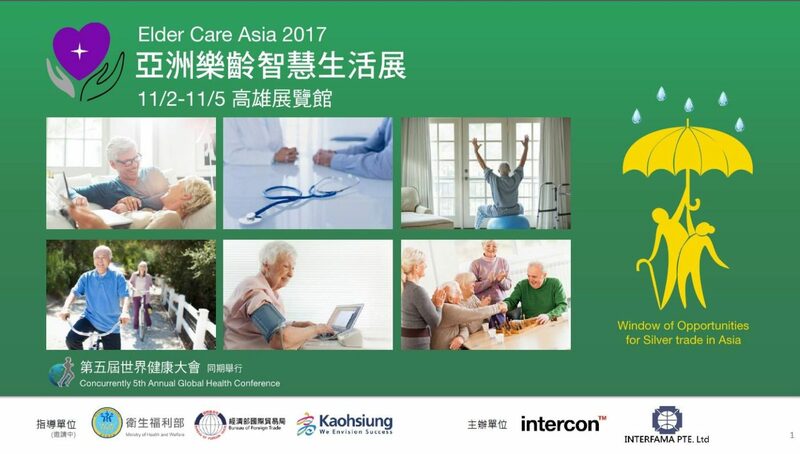 The exhibition will be held on 02-05 November 2017 at Kaohsiung Exhibition Center. 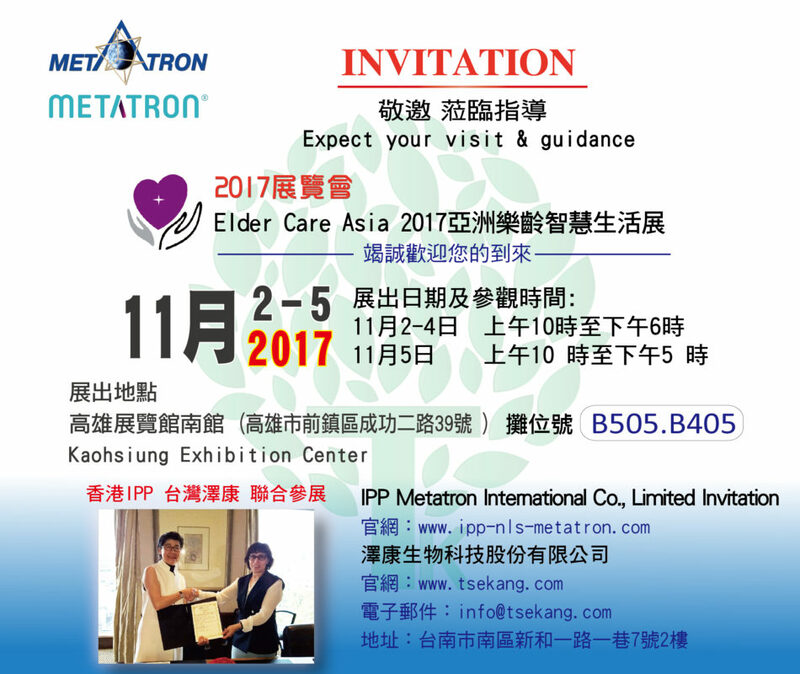 IPP Metatron International Co., Limited will participate in Elder Care Asia 2017. 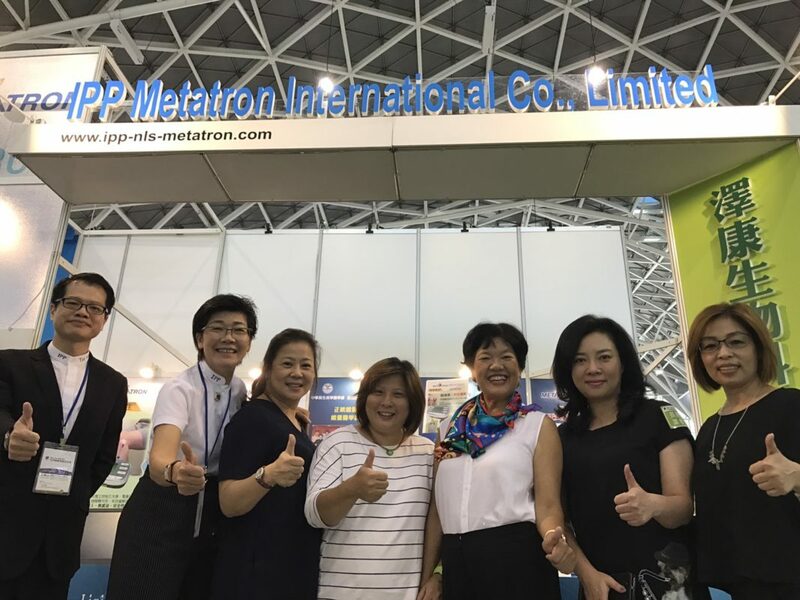 The innovation technology, IPP Metatron (Nonlinear (NLS)Diagnostic Systems) is invited by the Economic Daily to participate in the Kaohsiung Health Medical Exhibition in line with the Taiwan government policy. 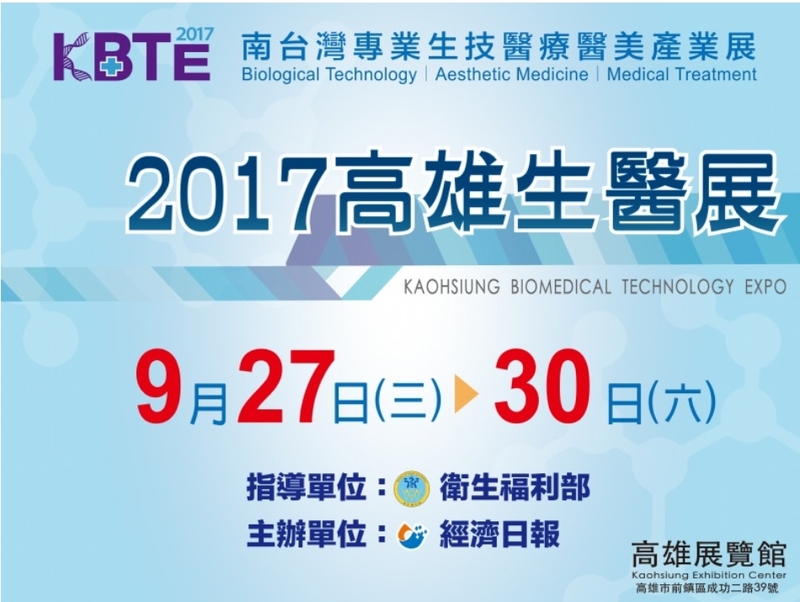 The biotechnology industry is one of the six new industries in Taiwan. 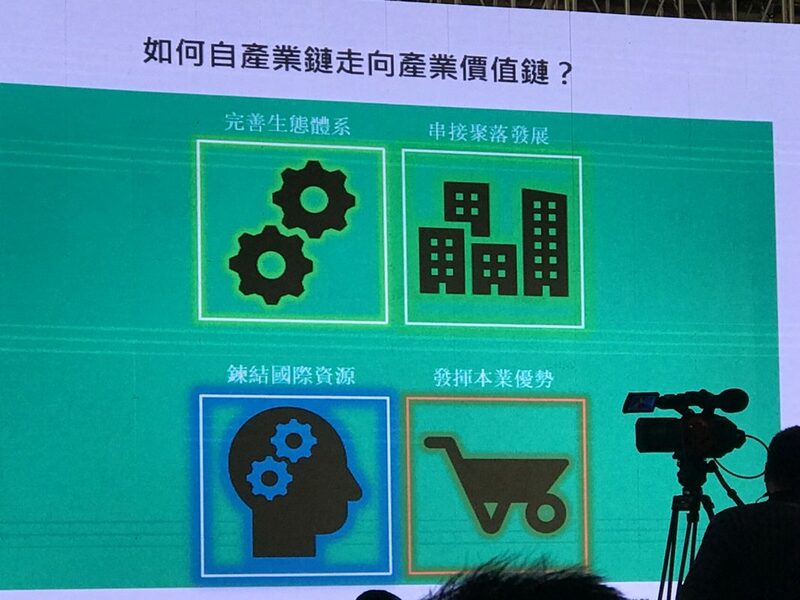 With the long-term efforts and investment of the government and the people, the industrial scale is expanding rapidly. 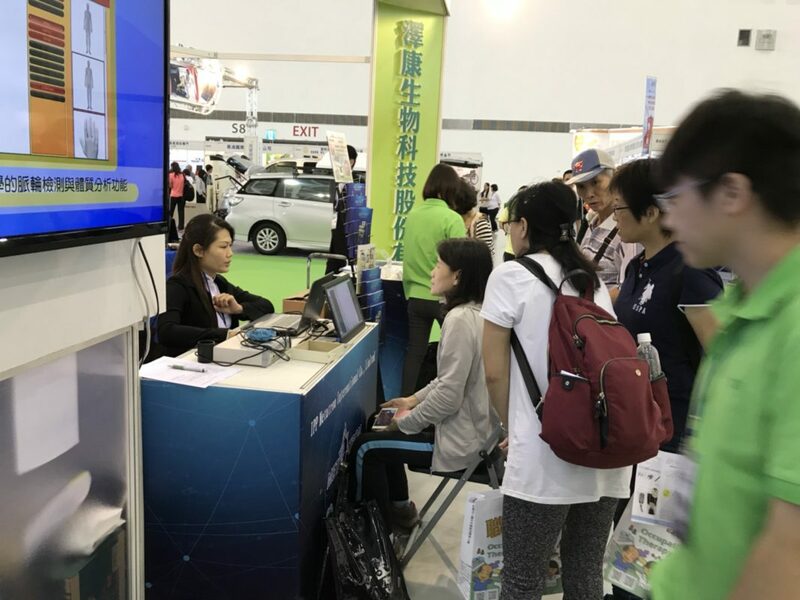 With the growth of the global population and the progress of science and technology, the total turnover of the biotechnology industry in 2015 reached NTD $ 298.6 billion, up to 3.5% growth of the year. 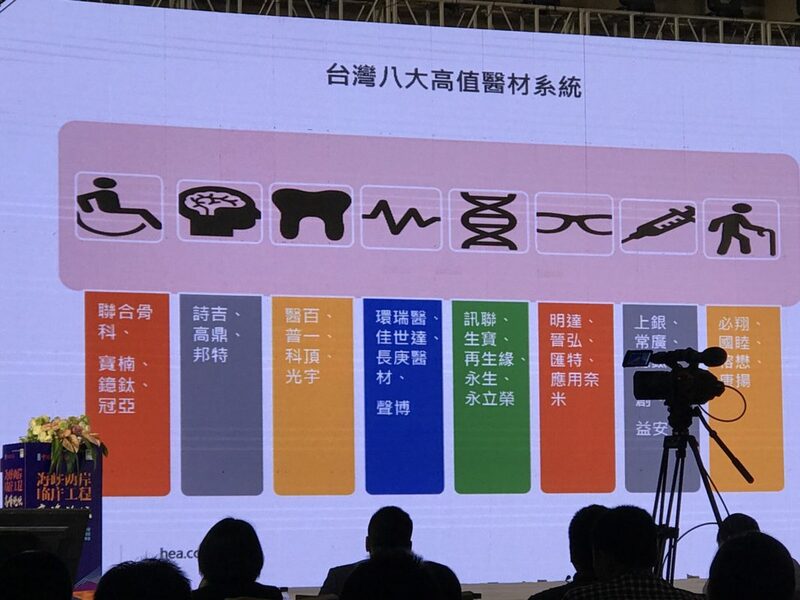 Among them, the total turnover of the medical supply reached NTD133 billion in 2015, occupied the total turnover with 44.5 % of the whole biotech industry, and the number of manufacturers reached the number of 1,041. 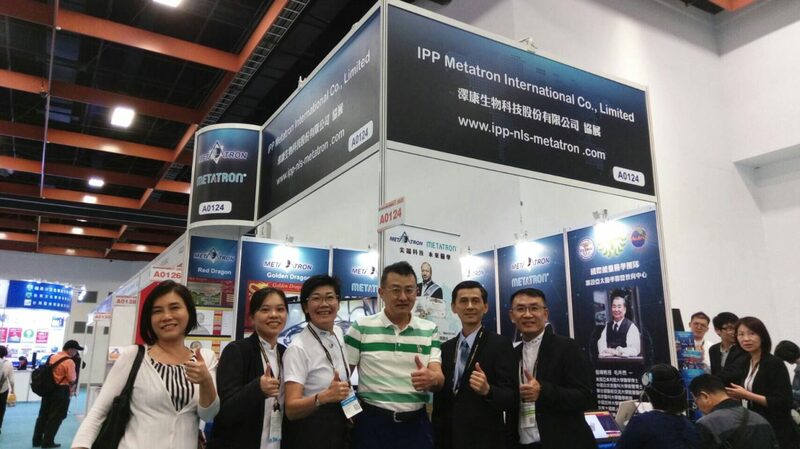 With the growth of the popularity of natural physical medicine knowledge, the collaboration with both IPP Metatron (NLS), the advanced diagnose technology and the biotech industry manufacturers at the exhibition is very popular among the visitors, even the famous TV host, 李玉龍,is attracted by the device and asked for experiencing the system. 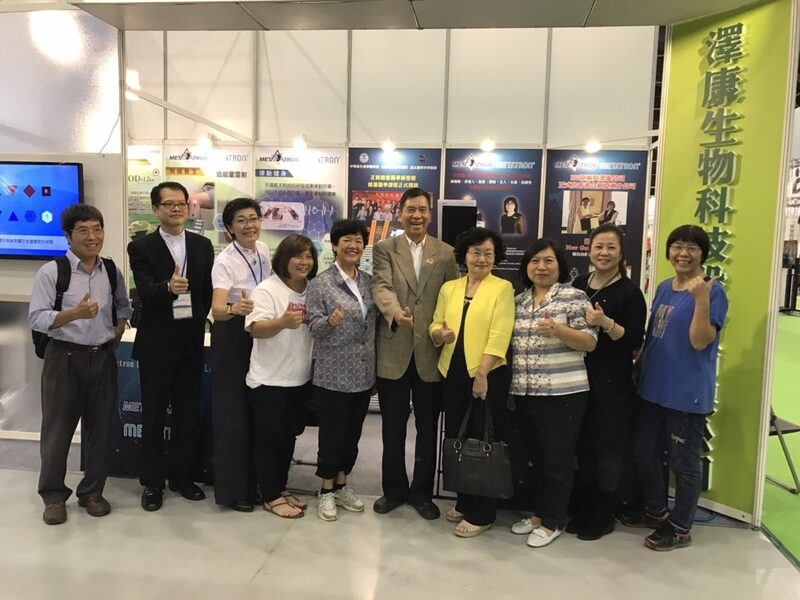 We, Tse Kang Biotechnology Co.,Ltd. 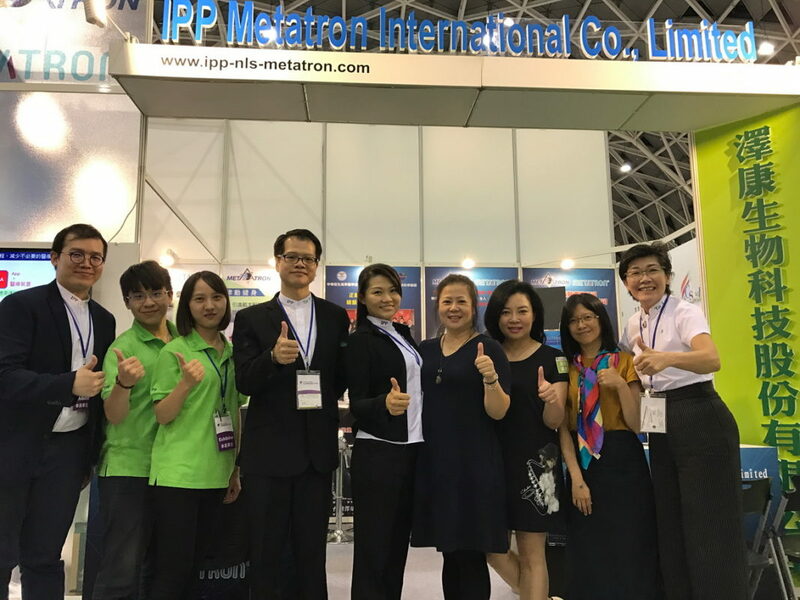 would like to thank IPP Metatron, Russia for participating in Pharmedi 2017 in Ho Chi Minh City, Vietnam. 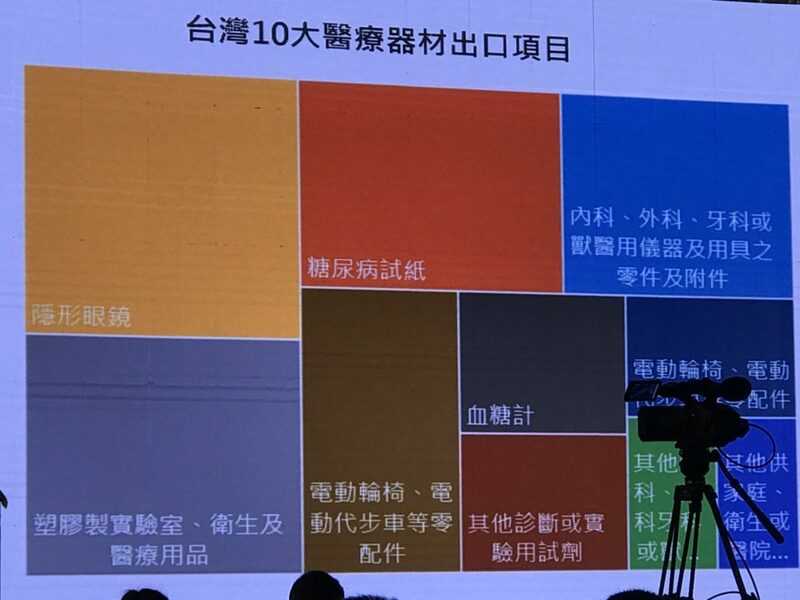 Vietnam is the sixth largest economy among the 10 ASEAN countries. 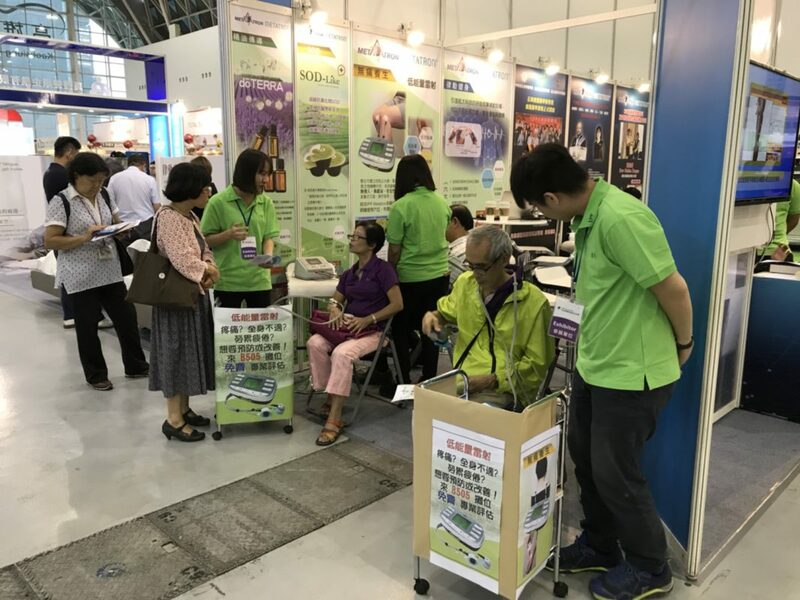 Under the influence by the medical policy of its local government, the growth rate of medical equipment and pharmaceutical market is the best among the countries of The Association of Southeast Asian Nation. 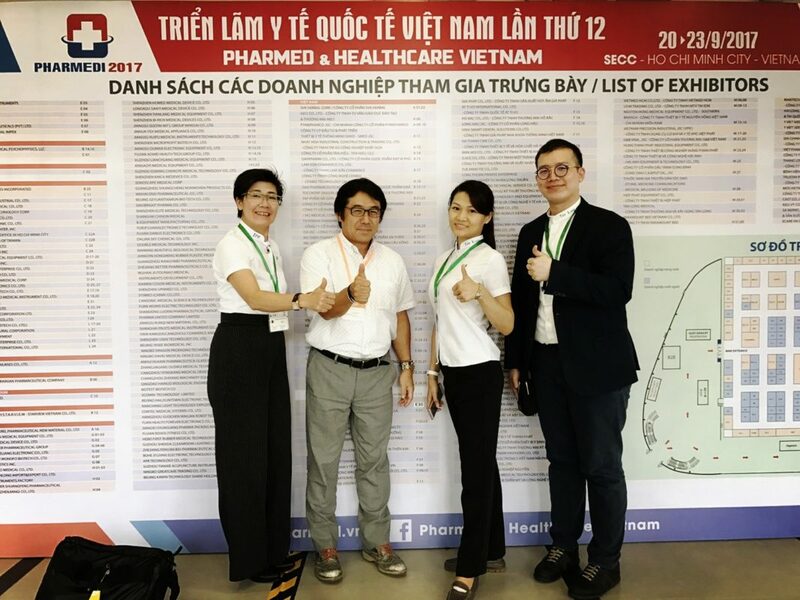 Vietnam’s local production of medical products are mostly medical supplies, there are still nearly 90 percent of the medical equipment depends on imports, the prospect of future business can be highly expected. 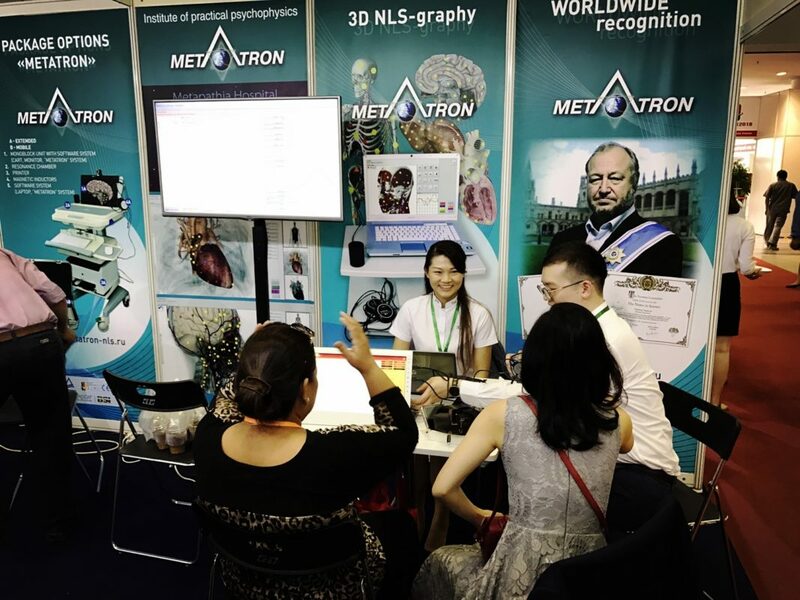 During the exhibition, the Vietnamese doctors are highly interested in IPP Metatron 3D-NLS diagnose system and request for experiencing the diagnose system. 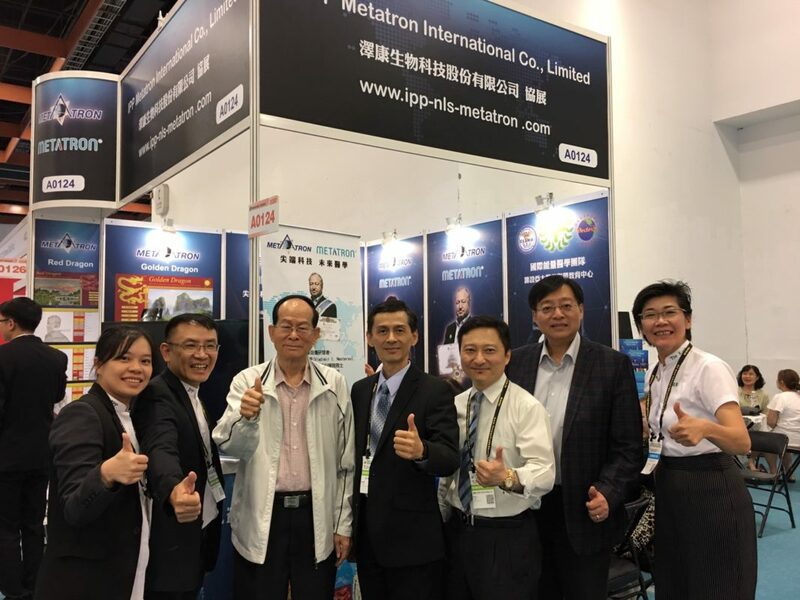 According to the doctors reactions, it proofs IPP Metatron is the world’s top medical technology once again. 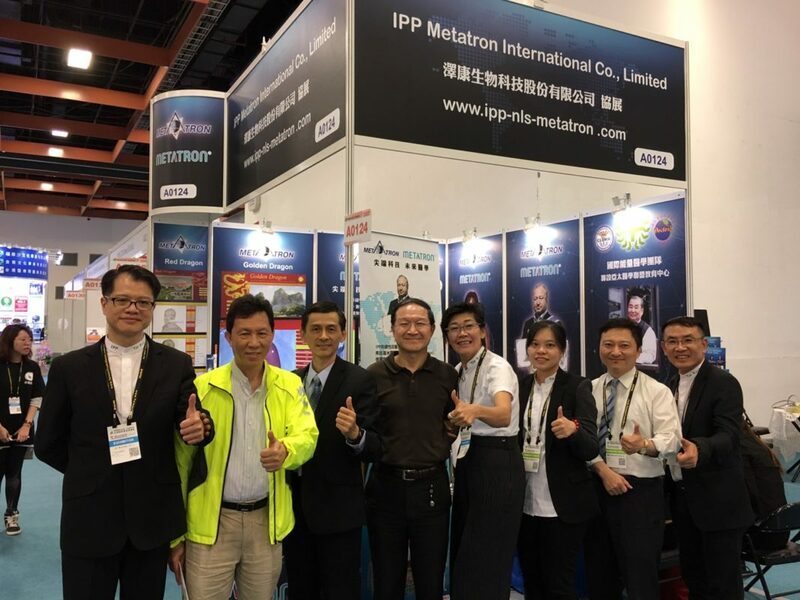 With the most advance medical technology, IPP Metatron 3D-NLS diagnose system; there are no boundaries of countries anymore. We’re here calling every elite in medical industry to company us. Let’s march into Vietnam! Let’s win the glory for Taiwan. 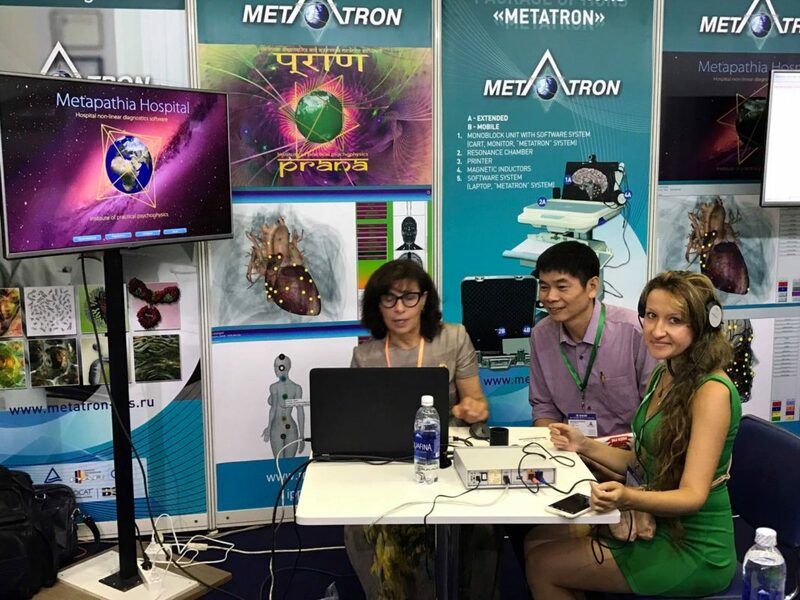 Thanks to the leaders of the medical profession to guide the principles and applications of Russian IPP NLS technology! 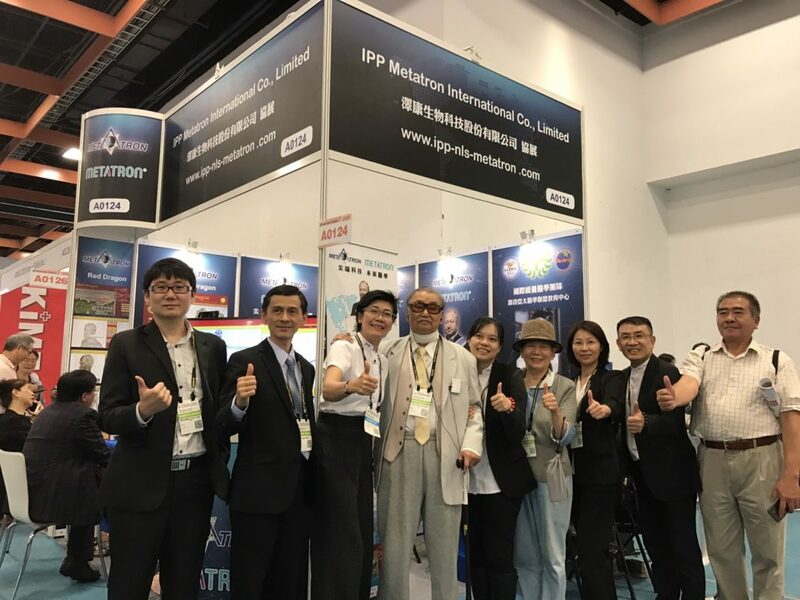 We appreciate the leaders of the medical profession to guide us the principles and applications of Russian IPP NLS technology ! 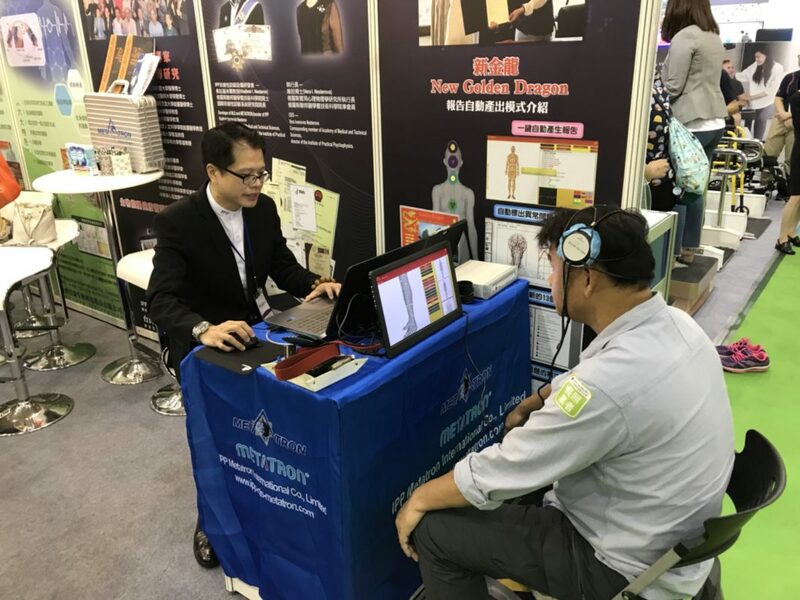 Professor Mai Jing Ran came to the booth to witness the benevolent mind and heart, and the spirit of seeking new technology for the health of mankind on the third day of the exhibition. 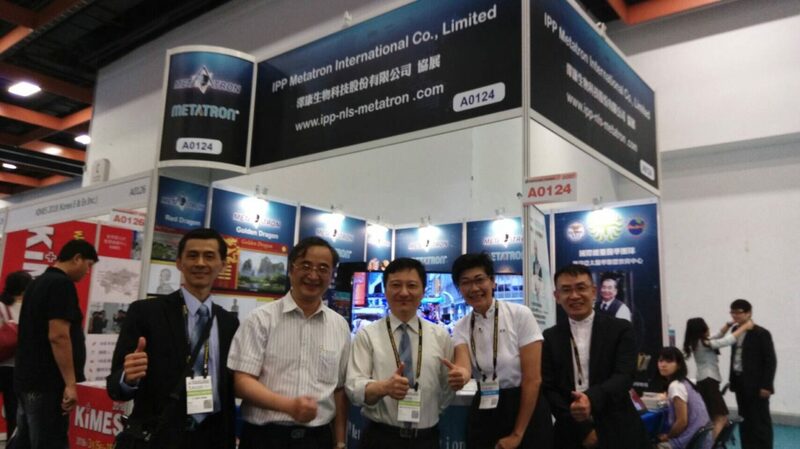 IPP team is very grateful and moved by all the supports and assistance. On behalf of mankind, we would like to give our greatest gratitude and respect to all the medical specialists ! 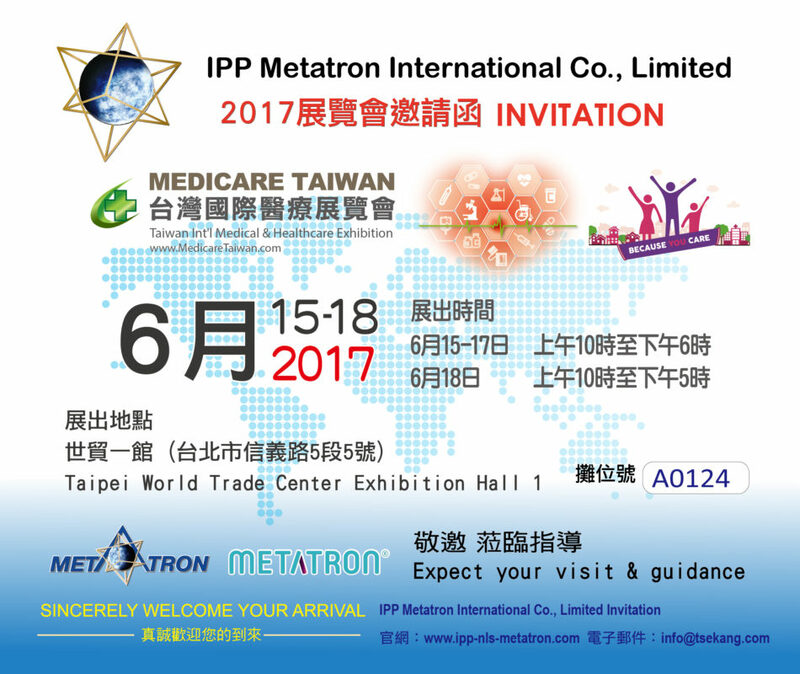 The IPP Metatron International Co., Limited will participate in the Taiwan Int’l Medical & Healthcare Exhibition Fair 2017. 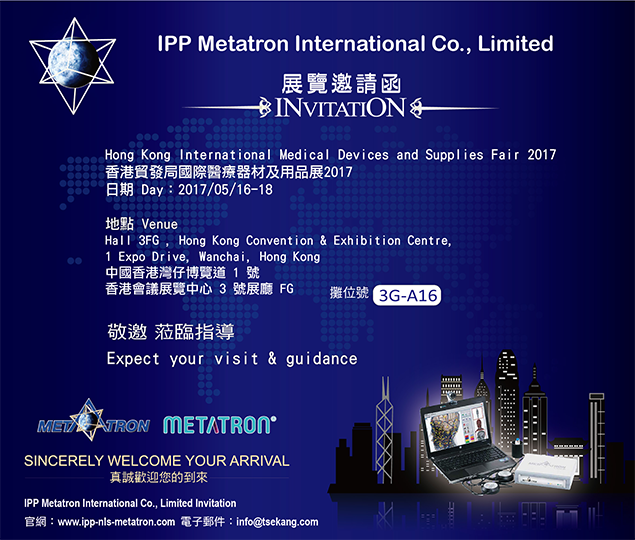 The IPP Metatron International Co., Limited will participate in the HKTDC Hong Kong International Medical Devices and Supplies Fair 2017. 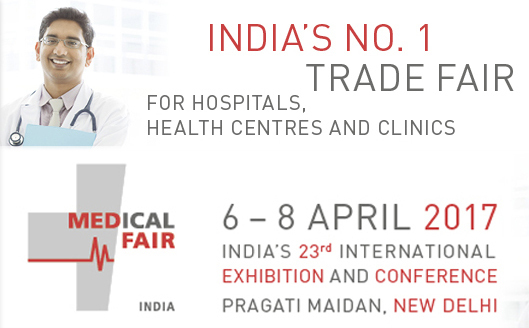 The 23rd International Medical Exhibition and Conference MEDICAL FAIR INDIA, New Delhi, India. 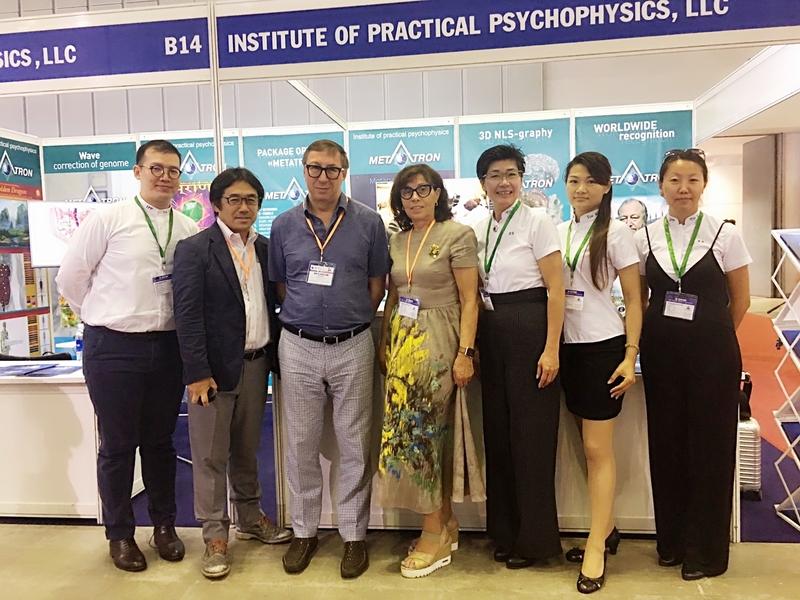 The Institute of Practical Psychophysics will take part in the 23rd International Exhibition and Conference MEDICAL FAIR INDIA – India’s No. 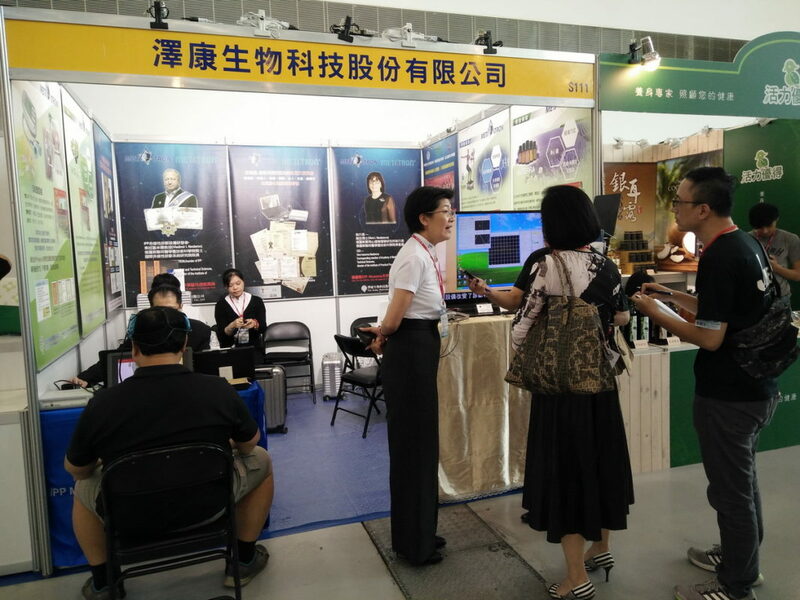 1 Trade fair for Hospitals, Health Centres and Clinics. The show will be held on 6-8 April 2017 at Pragati Maidan in New Delhi, India. 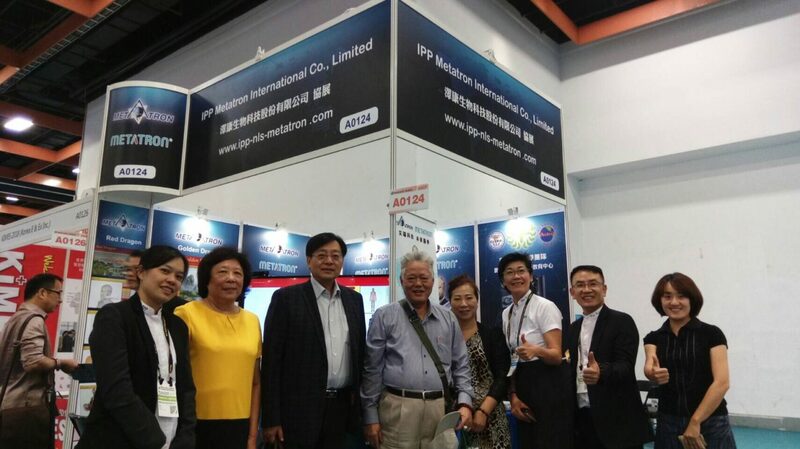 Revolutionary act through time, The Institute of Practical Psychophysics and Tse Kang Biotechnology Co., Ltd. (Taiwan) jointly established IPP METATRON INTERNATIONAL CO., LTD. in Hong Kong. 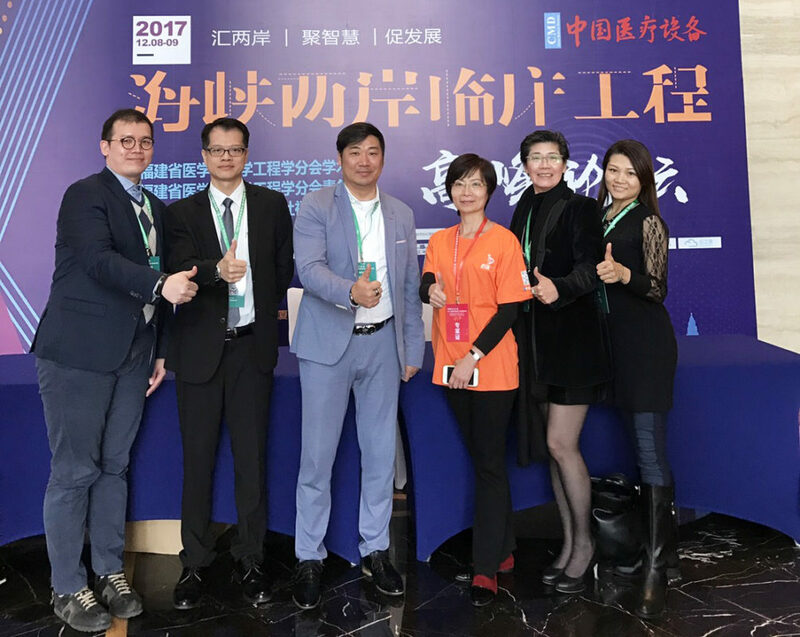 Introducing the most advanced medical technology from the Russian Academy of Sciences comprehensively into the Greater China area to benefit humankind is the pledge of the company.